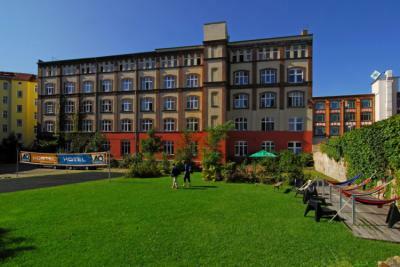 Berlin – Hostels in Berlin. Maps for Berlin, Photos and Reviews for each hostel in Berlin. 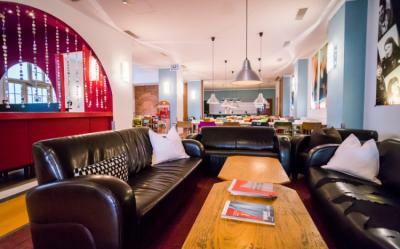 Looking for a hostel in Berlin? Look no further, all the good deals in Berlin are on Dorms.com. Like thousands of other people every month, book your hostel securely at the best price in all neighbourhoods of Berlin. 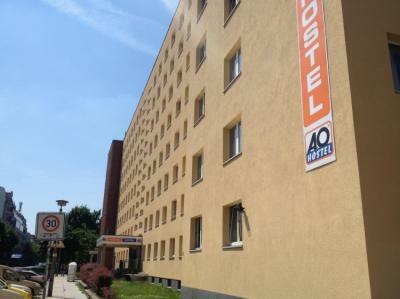 On this site, you can easily find a hostel downtown, in a trendy neighbourhood; a hostel in the student- university district, close to bus or train stations, airports or major attractions of Berlin. 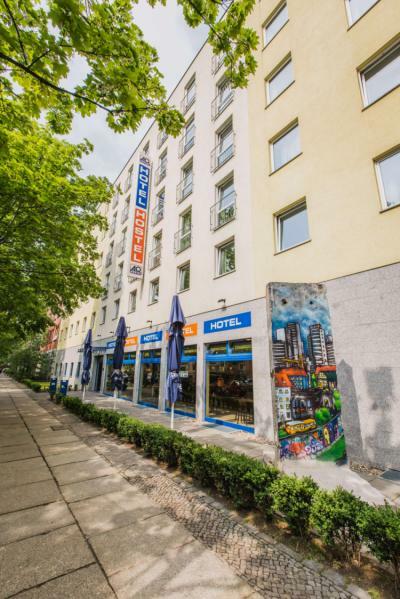 The A&O Berlin Mitte is located in the Berlin district of the same name and is just two underground stations from the Alexanderplatz station and 10 minutes by foot from the Ostbahnhof station. 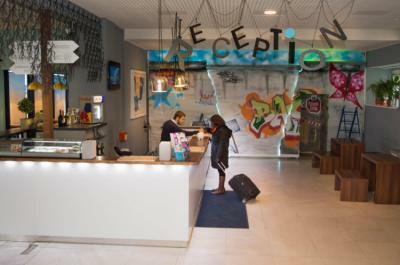 With its central location the hostel is easy to reach by car, train or public transport and is the ideal starting point for excursions into the metropolis Berlin. The most central borough of Berlin, Mitte is home to many of the city’s attractions – making Generator Berlin Mitte the perfect place to stay to see the city. Not only full of all the spots you’re guaranteed to want to hit up, you’ll find hundreds of restaurants, cafes and bars – not to mention ample shopping in both stores and some truly incredible markets. I was in a room of 8, the beds are good and there are 2 USB sockets per bed, European sockets everywhere in the room. That's the only good thing I saw ... the bathroom was filthy, no cleaning apparently ... I still stayed 3 days without the trash being emptied or anything. .. The elevator is run down ... it's a shame since the hostel has potential ... the staff is nice! Nice hostel and in a convenient location. The first flaw is that in the presentation was reported a shared kitchen that was actually not available for use because of work in progress but this was not reported. The staff was however very available to provide for heating our dinner. The second that the elevator does not reach the top floor. Also, there are no personal safes in which to leave valuables, but a safe was available at the reception. The staff was very pleasant throughout the stay. The hostel is well located in the center, in a lively area. The services offered are also very good. The place and the setting of the hostel are at the top. On the other hand, the toilets in the rooms deserve better maintenance. And it would be more convenient to have them on the landing rather than in the rooms. Generator Prenzlauer Berg is a stone’s throw from a Velodrom concert hall and an Olympic swimming pool. Not much further by tram, you’ll find some of Berlin’s big attractions, like the Stasi Museum, TV Tower and Alexanderplatz. A short walk away, Mauerpark is a local cultural hive of activity with public karaoke, inspired street art and Fleamarkets full of hidden treasures. 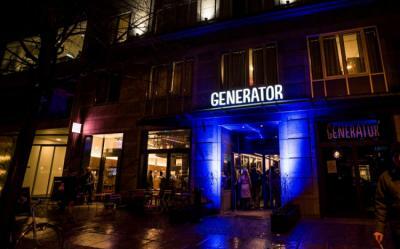 Generator is the perfect launch pad for you to explore the city from. The A&O Berlin Kolumbus is located in Lichtenberg. Perfectly connected to the public transport, the A&O is an ideal starting point for city tours in Berlin. Just 5 minutes from 'Genslerstraße' tram station, the newest Berlin A&O welcomes its guests. 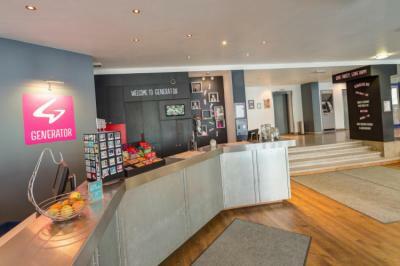 Perfectly accessible by public transport, the hotel makes an ideal base for discovering the sights of Berlin, especially the nearby Hohenschönhausen memorial. Parking is available, so arrival by car is also convenient. We stayed in dormitory of 8 beds for the financial aspect. However we were very disappointed that there is no kitchen, but considering the number of normal rooms ... By cons it is even asked not to bring food outside because the hostel has its own service of restoration but when you want to respect a budget ... not great. The "lockers are actually drawers under lots that do not lock ... What's more, the halls smell too strong disinfectant, and it's really not warm.Personal level it depends on who we are dealing. The bar, however, is nice and not very expensive - overall not the most cozy stay. A good atmosphere and a warm welcome, despite this a really dirty room that leaves a bad impression. The hostel is well placed, outside the center of Berlin but next to transport which is a very positive point. The A&O Berlin Hauptbahnhof is just 10 minutes by foot from the Berlin Central Station. In spite of its central location the hostel is on a quiet side street. Due to its excellent location, the A&O can be easily reached by car, train or bus, and with its superb connections is an ideal starting point for excursions into Berlin. Just a short walk away: Checkpoint Charlie, Brandenburg gate, Jewish Museum, Friedrichstrasse, Potsdamer Platz & Unter den Linden. 10 min to "Brandenburger Tor" 10 min to "Checkpoint Charlie"
Very well located. The premises are well maintained. I stayed here for two nights, alone. The hostel is perfectly located, both on foot and by public transport and there is a mini market nearby! The room is clean, secure, lockers in good condition (bring back your padlock) and comfortable bedding. The bathroom, the toilet and the shower are clean even if the shower does not smell very good (the pipes). The staff is very friendly. However, there were only three electrical outlets for 6, a fair bit! The hostel is located in a fairly old and poorly maintained building, especially inside. The rooms are overall dirty, but the toilets and showers even more. The staff at the hostel is barely cordial. Fortunately we can count on a very low price and a good location. Good value for money. Bathroom that deserves a little renovation. Good breakfast. The A&O Berlin Friedrichshain opened right by the central intra-city Ostkreuz train station in the popular student district. The former factory building features 233 rooms with modern furnishings. 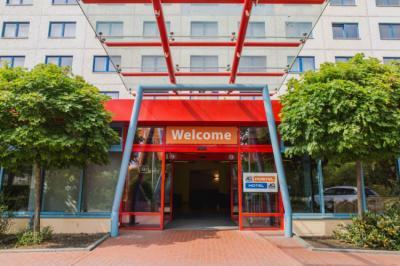 Well connected by public transportation we are only a few minutes from the historical center, Brandenburg Gate, Zoo, KaDeWe, the central station and the biggest and most famous shopping promenade Kurfürstendamm. A simple hostel, with good heating and very well located, with supermarkets (Lidel, a bio ...), cafes, shops, the metro station where you can take any direction and about 20 from the airport. The hostel is close to the metro and allows to be in the center quickly. The only downside I will find is that being divided into several buildings, there is no soul that can be found in other hostels; we only communicate with the people in our room. If you do not pay for breakfast, you do not have access to the kitchen which is a problem because it means you have to eat outside each time or bring these short and others. Overall, it is better to pay a little more and have more benefits because in this hostel, the price is not high (which is good for students in particular) but each small service is extra (bed linen: 7 €, breakfast: 7 €, check-out beyond 10h: 10 € ...) Finally, I paid for a mixed room and my first night, I ended up in a room of 8 with 7 boys; I asked to change rooms because I was not very comfortable and I was told that the hostel was full or I had to pay extra to change the building ..
Great stay! I will probably come back again! The hostel is in a nice neighborhood and quite alive. There are a lot of cool places to eat, recommended by the staff. The room (of 4) and the shared bathrooms were clean. Secure closet, sink and furniture in the room. Large and pleasant common room to eat, drink or coffee, play pool below. Nice hostel, a big flat anyway: the common kitchen. A single fridge, no shelves dedicated to dry goods, no teaspoons, no garbage sorting, and very restrictive opening hours.